I had just finished a relaxing weekend with my former employers – the fantastic guys at Torrey Hills Capital – and sat down in this seat at roughly 3:30 PM PST to surf the net. Silver had closed that Friday at $49/oz -and gold at $1,575/oz – and after a long nine-year battle with the Cartel, it finally appeared the tide was turning. The mining shares – where I held roughly 70% of my net worth at the time – had strangely peaked a few weeks earlier, but nothing could get me down, particularly as the 30% of my assets in PHYSICAL gold and silver were soaring. That is, until I looked at PM prices, particularly the $6/oz WATERFALL DECLINE in a 17-minute period in the wee hours of the Asian morning. At first, I thought it was a misprint, but my gut knew it wasn’t. 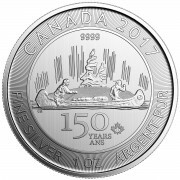 I had watched the Cartel’s “bad PM resolution” stratagem for too long – in other words, if silver was up $6/oz, you can bet it was a misprint, but if down by that much, you can bet it was real. When my flight landed in Denver that evening, silver had recouped half its losses. Subsequently, the Cartel responded with the “2” of their “1-2 punch,” the conveniently timed “bin Laden killed” announcement from none other than the President himself. Yes, an incredible coincidence, to say the least! Late on a Sunday night – with Chinese markets closed for a holiday – just hours after silver had been mysteriously attacked with a barrage of naked PAPER short sale orders. Osama bin Laden had been at large for nearly ten years, having never been seen in public since the 9/11 attacks. Sure, a few videotapes had been released over the years, but none in some time, with those available (if they aren’t government forgeries) difficult to authenticate. The preponderance of evidence suggests he died years earlier, and the fact that he had never been found by the most comprehensive, technologically advanced search operation EVER pretty much validated that conclusion. However, just as silver – the Achilles Heel of the global monetary system – was about to complete a massive breakout from its 1980 highs, he suddenly was found! Better yet, we are told his body was dumped in the ocean, leaving us to TRUST the U.S. government that this event actually occurred, the supposed end of the “War on Terrorism.” Let’s not forget this faux war was catalyzed by what appears to have been U.S. government-planned attacks on its own landmarks, and that the reasons for invading Iraq – its “Weapons of Mass Destruction” and a connection between Saddam Hussein and al Qaeda – were long ago admitted to have been false. Yet again, a preponderance of jaw-dropping LIES and PROPAGANDA so flawed, it is amazing that ANYONE still believes ANYTHING the U.S. government says – such as the scientifically-flawed accounts of 9/11 itself! Given that the below article was forwarded to me last night, this RANT is particularly well-timed. Apparently, during an unpublicized 2008 lawsuit claiming the official government account of 9/11 was fraudulent, one of the most prominent pilots in U.S. history was brought in as an expert witness. John Lear, 65 years old and son of the inventor of the Lear jet, was a commercial, cargo, and military pilot for 40 years, with as much certification as a tenth-degree black belt, the latter of which takes more than 50 years to achieve. Based on the credentials listed up front, you will be quite confident he knows more about flying than perhaps any living person. I witnessed 9/11 from just blocks away, and in fact worked at Cantor Fitzgerald when the first WTC attack occurred in February 1993, having walked down 105 floors of smoky stairwells – amidst countless panicked people – many of whom died in the second attack eight years later. When the first “plane” hit, I was in my office at Salomon Smith Barney, on the 35th floor of the Traveler’s building roughly 20 blocks away. My fellow employees stood by the window and watched the fire burning for some time, and the next thing I remember was hurrying down the stairs because another “crash” had occurred at the second tower. Again, my memory is fuzzy, but I am quite certain I never saw a plane hit the second tower, as certain as John Lear is that such an occurrence was not physically possible. Since that fateful day, I have watched dozens of videos regarding 9/11 – including two of the best – 9/11 Conspiracies and Loose Change. Given my bent for science and logic, I have ZERO doubt it was an inside job planned with the aid of unlimited financial, military, and political capital. I also have essentially ZERO doubt bin Laden was dead long before May 1, 2011, with the government having “saved” the announcement of his death for a politically expedient – or NECESSARY – time, such as the imminent breakout of silver past $50/ounce. I, and numerous silver experts, have long written of supply shortages experienced when the Cartel pushes PAPER prices too low – as in October 2008 and September 2011 – as confirmed by the experience of Miles Franklin, one of the largest bullion dealers in America. Conversely – demonstrating its supreme price inelasticity – global silver supply was essentially depleted in April 2011, as the price surged toward $50/ounce. Even on May 8th – a week after the “MASSACRE” – I described how premiums soared to more than 60% above the “spot price” due to fear that PHYSICAL buying would overwhelm the Cartel, yielding an end to meaningful supply. Following that experience – coupled with the MASSIVE supply depletion when the Cartel briefly pushed silver below the KEY ROUND NUMBER of $30/ounce following September’s “OPERATION PM ANNIHILATION” and, subsequently, during December’s “OPERATION PM ANNIHILATION II” – I concluded the Cartel was “boxed in,” in that PHYSICAL demand would overwhelm them if they attempted to push silver below $30 oz; or, conversely, if they allowed it to push up towards the “ULTIMATE QUADRUPLE TOP BREAKOUT” at $50/ounce. 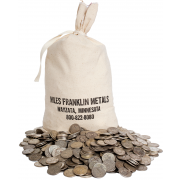 Readers are now aware that one million PAPER gold ounces were sold the second Bernanke spoke during last month’s “LEAP DAY VIOLATION” – plus an incredible 375 million PAPER silver ounces. One million PAPER gold ounces dumped at once is bad enough, but just represents 2% of annual global production, while 375 million PAPER silver ounces represents an incredible 50%, indicating just how desperate the Cartel was to attack the financial system’s “Achilles Heel.” Keep that fact in mind – as well as the entire “SUNDAY NIGHT PAPER SILVER MASSACRE” operation – when you consider whether silver at a measly $33/oz is worth “investing” in. Before concluding, I want to emphasize one final point. From roughly 2003 to 2008, any time gold and silver prices started to rise too sharply, TPTB would trot out their two tried and true “gold killers” – the potential for “IMF gold sales” and “rumors” of bin Laden captures. 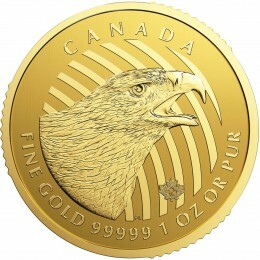 Not that either of these events are in the slightest bit “bearish” for gold; however – as during the “SUNDAY NIGHT PAPER SILVER MASSACRE” and “LEAP DAY VIOLATION” – they were used as cover to attack PMs, with the end goal of getting the MSM to publish headlines correlating the two (a strategy, by the way, used during essentially all NFP payroll report days). In the big picture, bin Laden’s death did not prevent gold from hitting a new ALL-TIME HIGH just four months later – and silver $45/oz before both were attacked in a series of “named storm” blitzkrieg attacks this Fall and Winter. In fact, gold is nearly $150/oz above its “SUNDAY NIGHT PAPER SILVER MASSACRE” level; and, per the above commentary, had actually recovered all its “bin Laden killed losses” just 15 hours later. As for the IMF’s vaunted 403 tonnes gold, it was sold to India in late 2009 at the above-market price of $1,050/oz – worth a whopping $13 billion at the time – essentially a day or two of U.S. government MONEY PRINTING. 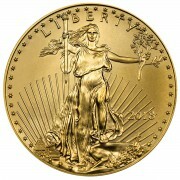 Today, there are no more bin Laden’s to kill, and no more IMF gold to sell (the rest is encumbered, i.e. double-counted reserves of IMF members). All that’s left is brute force in the PAPER market, a strategy that has FAILED for a dozen years, and will FAIL for at least a dozen more. Thanks Andy- great article and thanks for all that you do. I think I might also add about all the silver margin hikes, 5 in 9 trading days if I’m not mistaken and I also vaguely remember that they pre-announced 2 of them…i.o.w. the CME raised margins once and in the process, they released a statement saying they were also going to raise them again the next day and the next day after that or something to that affect. Anyway, I’m still stacking but trying to convince others to do so is difficult without a true price discovery. You bet they raised margins five or six times, as little old silver was on the cusp of destroying the entire global financial system last April. Next time around, I doubt they’ll be so successful. Keep spreading the word, and you just might save a few desperate souls.